Our recent harvest food collection for Forum Housing was a massive success with lots of food hampers being able to made up for people in need. 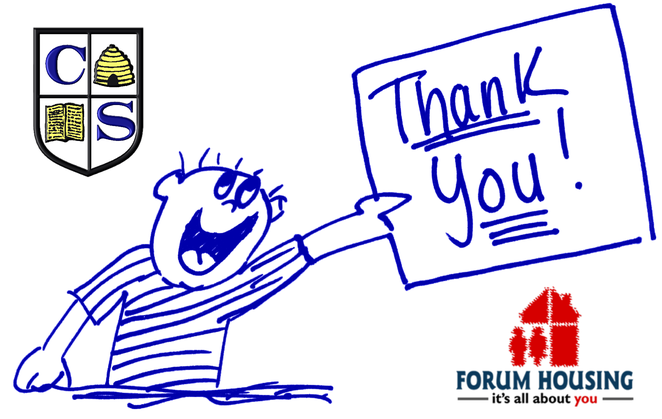 We would like to extend a big thank you from school and forum housing for the large donations of food. The next collection will be at Christmas time and we will collect toiletries and food to make up gift bags.